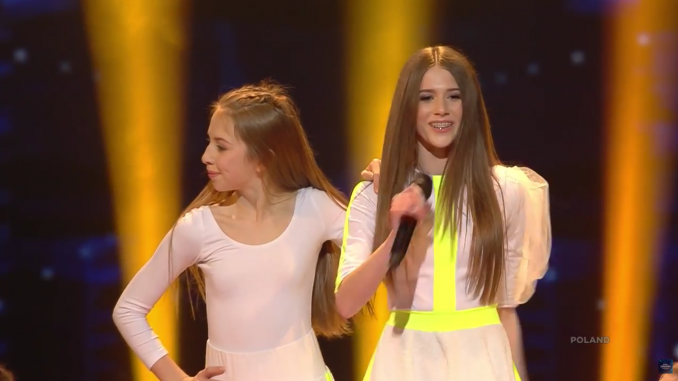 Roksana Węgiel from Poland has won the 16th Junior Eurovision Song Contest in Minsk (Belarus) today with her song “Anyone I want to be” . She received 136 points from the online voting and 79 from the jury. Australia’s Jael came in 3rd with 201 points. Australia’s Jael won the jury voting. After all countries had revealed their jury results, Jael was in the first place with 138 points, 5 more than runner-up Malta. Australia collected just 53 points from the televoting and finally ended up on the 3rd place. Malta also slipped in the online voting, receiving only 43 points and therefore ending up fifth. This JESC edition included two newcomers: Kazakhstan and Wales. Kazakhstan ended up on a sixth place with 171 points and Wales ended on the last place with 29 points. Editorial: Eurovision Asia – Finally Happening?